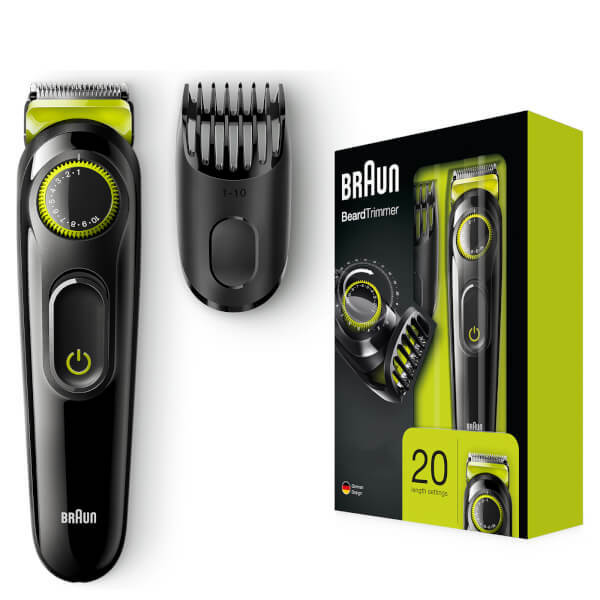 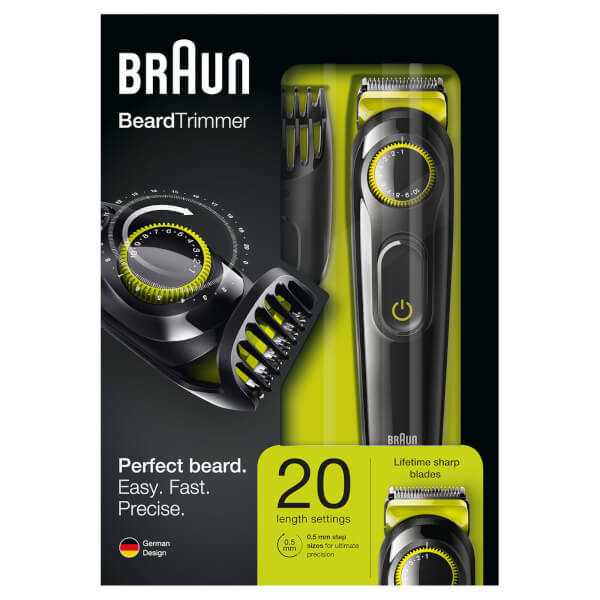 Create a variety of beard styles with the Braun BT3021 Beard and Hair Trimmer. 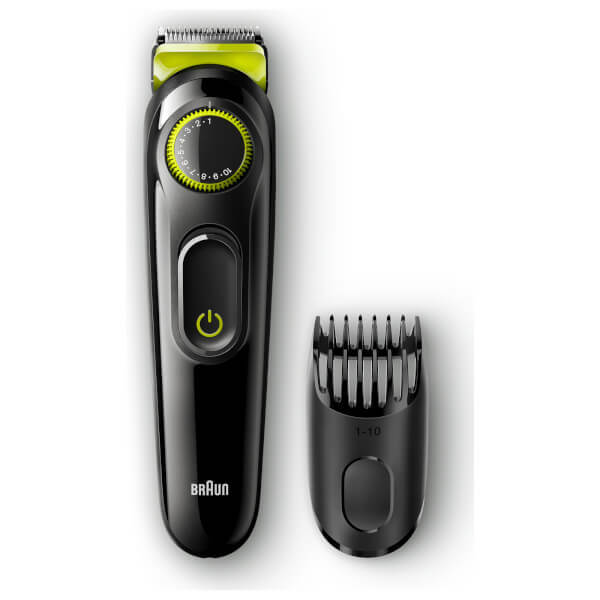 Featuring twenty length settings to allow you to customise your look. 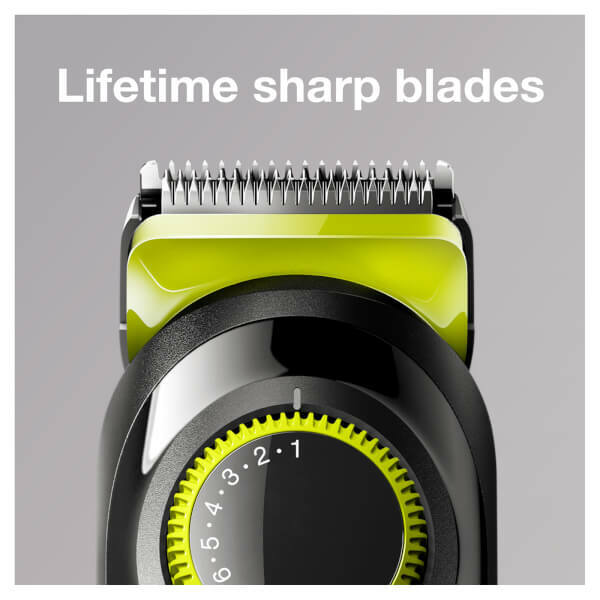 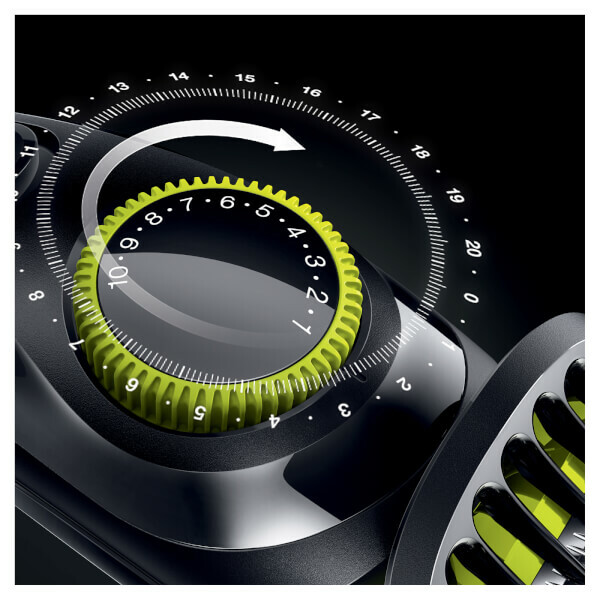 The precision dial adjusts from 1mm-10mm with one trimming comb to provide an even cut with lifetime sharp blades. 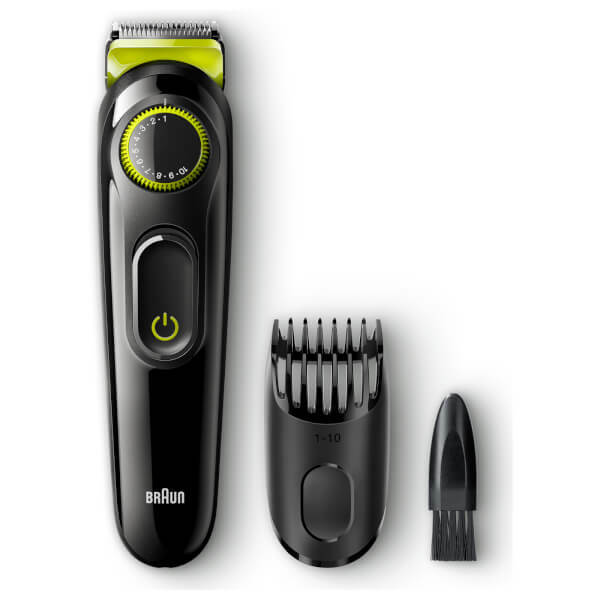 Perfect for beard styling and for trimming shorter hair.